The surf at Telo Island Lodge is remote, exclusive and beautiful. While most guests are return visitors, we needed to increase awareness and attract new prospects. 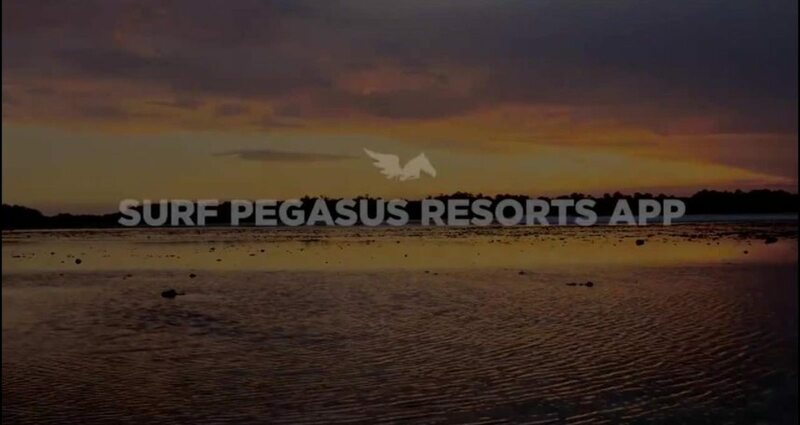 But Pegasus doesn't sell a simple product or service: they provide unforgettable experiences to every guest. Our mission was to bring their unique offering to the world, in an immersive experience. We identified mobile devices as the perfect vehicle early on. Thanks to the similarity to the act of balancing on a surfboard – and taking advantage of tablet capabilities – we brought together our story with technology in a never-before-seen experience. The app allows the user to control their first-person surf video, perform tricks, view hidden content, control a fly-by, and tour the grounds of Telo Island Lodge. As we rolled out the experience in the App Store, Pegasus was well-positioned to open up to new guests and share its unique film with the world. The surf at Pegasus Telo Island Lodge is remote, exclusive and beautiful (less than half the islands in the region are inhabited, let alone visited by tourists). While the majority of guests are return visitors, we wanted to share the experience with an expanded audience, and attract the attention of new prospects. But Pegasus doesn't sell a simple product or a generic service: they provide an unforgettable experience to each and every guest. Our mission was to bring their unique offering to the world, and our solution was an interactive video that puts the viewer directly on the surfboard. To deliver this never-before-seen experience, we assembled a team of storytellers and technologists who banded together to create a truly one-of-a-kind immersive surf film. Our interactive video gives each viewer a unique look at what it's like to surf the stunning waves of Telo, Indonesia. It begins with our surfer diving into the blue-green Indian Ocean. From there, you control the film and surf a selection of five epic swells in a visceral first-person experience. As you rip through the waves, you can even interact with the video to unlock hidden tricks and extra content. Finally, as your ride comes to a close, the surfer paddles back in towards home. Early on in the conception of our idea, we identified mobile devices as the perfect vehicle for this execution. Thanks to the similarity to the visceral act of balancing on a surfboard – and taking advantage of the gyroscopic capabilities of these machines – we were able to weave together our surf story with the technological functionality in a never-before-seen Surf Pegasus experience. The app allows the user to control their first-person surf video, perform tricks, and immerse themselves in hidden content. Additionally, they can control a fly-by of the location, and tour the grounds of Telo Island Lodge.